The Argentina Football Association finally made the decision to appoint legendary Cesar Luis Menotti, to be their National Team’s Director on Monday. As the new Argentina board of directors have managed to keep the National Team a float in the last few years, they needed to make a massive point by signing someone like Cesar Luis Menotti for an important position in the federation and they just announced him this Monday. The legendary former manager reportedly declined the position as the National Team coach, he doesn’t feel like he will deliver good results given his advanced age and he is not interested on having stress problems at this point in his life. But Menotti has always been very interested in what happens to his beloved National Team, which is the reason he agreed to sign a new contract as the new National Teams’ Director and will start his new job effective immediately. The Argentina Football Association (AFA), made the announcement on Monday and posted a picture of him and chairman Claudio Tapia shaking hands while closing the deal that binds Menotti to the squad in this new position. The input that Cesar Luis can give to the younger national teams is very valuable, he will make sure that the right decisions are made in Argentina from now on. This position has only been reserved in the past for World Cup champions with Argentina according to Diario Ole, only two other figures have taken on the job before Menotti and he has some major shoes to fill. The first one to take on the role was Carlos Bilardo, the manager who took Argentine to the 1986 World Cup championship and one of the most influential managers in the country’s history. During his tenure as the National Teams’ Director, Bilardo took Argentina when Diego Maradona took the job as the manager and he didn’t really have a lot of success in the position. The other person who took the position was Jose Nestor Pekerman, he was the Director between the mid-nineties and the start of the millennium. He was the one who appointed Marcelo Bielsa as the National Team manager, he also took the youth World Cup trophies of Qatar 1995, Malasia 1997, and Argentina in 2001. It’s Menotti’s turn to take a crack at the job, which is a huge responsibility because he will be the one calling the shots with only chairman Claudio Tapia above him in the organization. 🇦🇷 AFA ha anunciado que a partir del próximo 1 de febrero, César Luis Menotti asumirá como Director de Selecciones Nacionales. 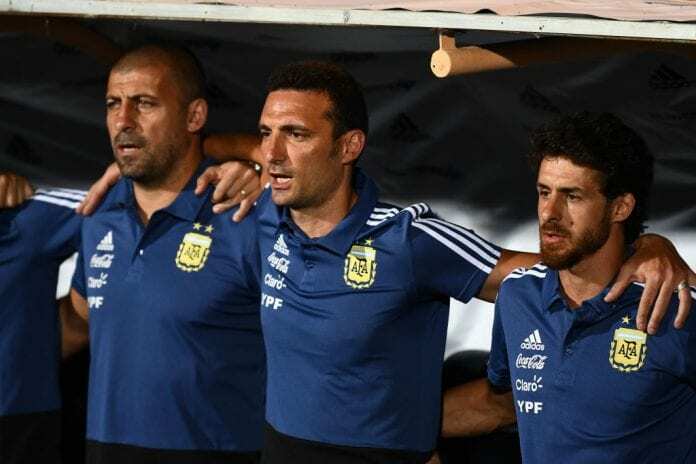 Now that AFA has appointed Lionel Scaloni as the National Team manager, he will have to impress Menotti within the span of the next year or he will most likely be replaced if he comes out short. After the protocol is followed with all the necessary documents that Menotti will have to sign, the position will start officially on 1 February this year but Cesar Luis has already begun to form the working team that will help him build a better structure for all the National Teams in Argentina. As far as the National Team goes, it will be Cesar Luis Menotti’s job to convince Lionel Messi that he still has a lot to give to Argentina and to let him know that he has the full support from AFA for the upcoming tournaments in which he may compete. The new Director also has big plans for the manager’s job, but he will give Scaloni the benefit of the doubt and let him work without any pressure coming from his end. 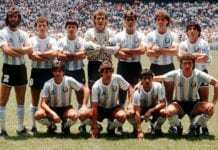 However, the options Menotti has for the job are Marcelo Gallardo, Guillermo Barros Schelotto, and Diego Simeone. How well do you think Cesar Luis Menotti will do as the new National Teams’ Director for Argentina? Please share your opinion in the comment section down below.